If you're ever separated from an Android phone because it was left in an airport bathroom, or at the food court in the mall, or somewhere else inside certain buildings, Google's Find My Phone app might improve the odds of a reunion. As noted by SlashGear, Google has updated the app to help make it as useful inside some structures as it is outdoors. Because GPS doesn't always work inside buildings, using the app to make the misplaced handset ring had been the most reliable way to get reunited with an Android phone lost inside one. But the aforementioned update to Find My Device adds indoor maps support for some airports, malls and other large buildings. Of course, this remedy only works if the building where the phone has gone missing happens to have been mapped by Google. So for the best results using Find My Phone, make sure that if an Android phone is misplaced, it is lost inside a building that has been mapped by Google. Of course, that might not always be possible. Still, Find my Phone actually does come in handy inside or outside because it allows you to lock the wayward device. 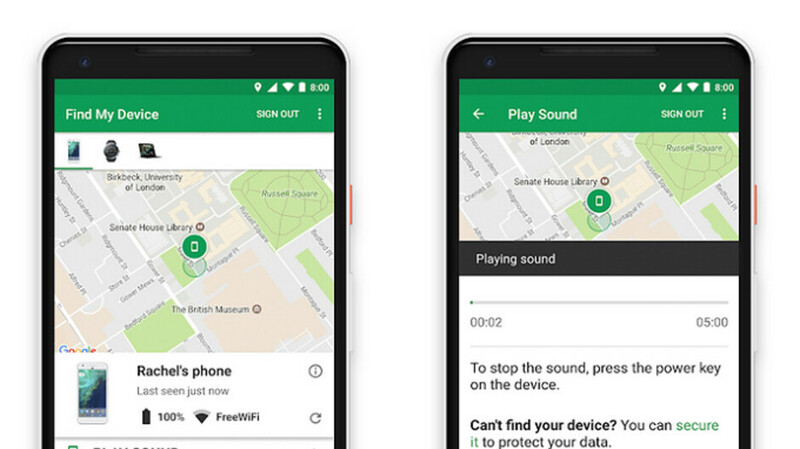 Therefore, you just might want to install Find My Phone on your Android phone. To do so, click on this link.